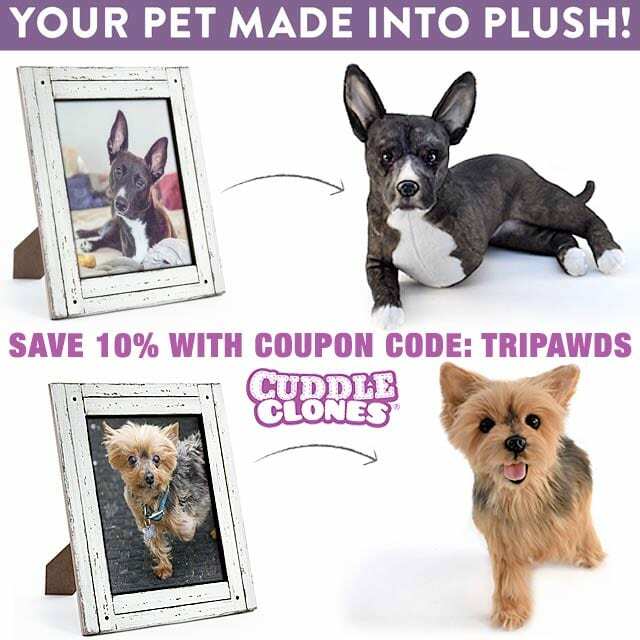 Have you seen the new Tripawd Cuddle Clones in the Tripawds Gifts Shop??? The deadline to order Cuddle Clones in time for Christmas delivery is November 11. 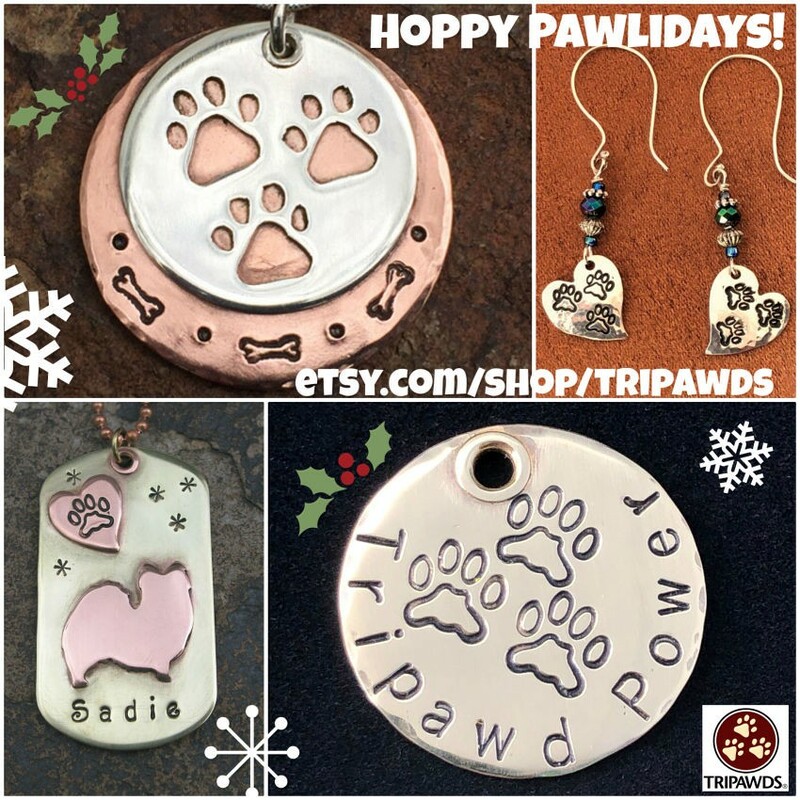 Just want to remind folks that we have lots of cool things in our Tripawds Jewelry Store! If you don’t see it here on our Tripawds Gifts Store, check out our Tripawds Etsy Shop. And if you don’t see anything there, just contact us, we’ll see what we can do about making something one-of-a-kind just for you! U.S. orders must be placed by 12/12/18 in order to arrive by 12/25/18. International orders must be placed by 12/3/18. Express shipping is available for an additional charge. No orders will be accepted after 12/12/18 if the item is needed by 12/25/18. Thank you for supporting the Tripawds Nation by shopping with us! Hi Everypawdy! 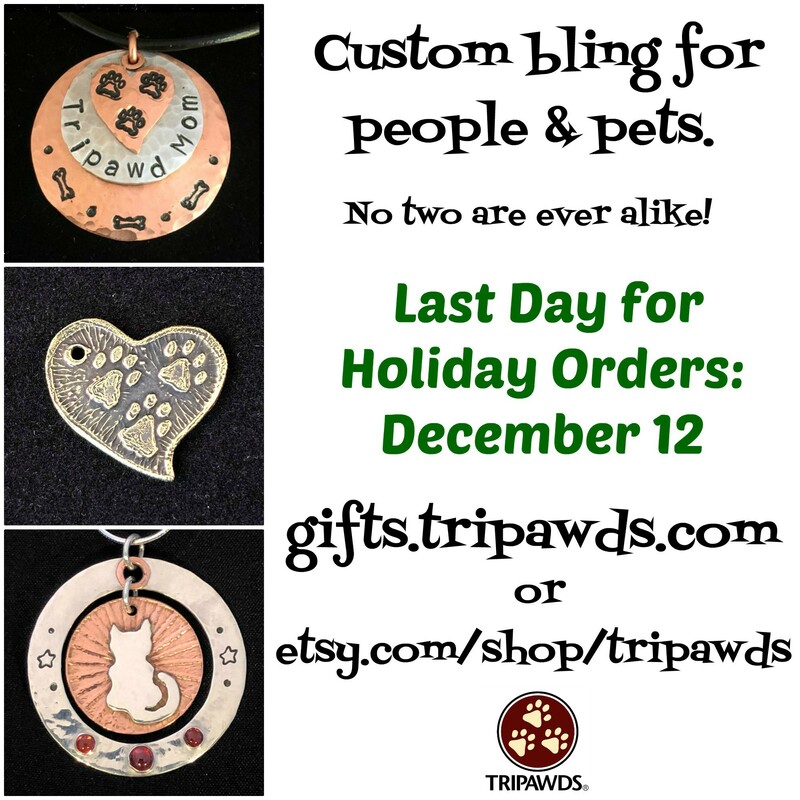 Just a reminder that tomorrow is the last day to place orders for Tripawds bling that will arrive by 12/25! Shop the Tripawds Gifts blog Jewelry Store or our Tripawds Etsy shop for one-of-a-kind, handmade jewelry for pets and people. Don’t see something that catches your eye? Let us know and we can come up with something all new just for you! Add Reply: New items in the Tripawds Gifts blog!